Messianic Apologetics editor J.K. McKee, in his capacity as leader of the New Foundations-New Members class at Eitz Chaim Messianic Jewish Synagogue of Richardson, Texas, has developed the workbook The Messianic Walk to specifically aid in acclimating people to today’s Messianic movement. This resource is a primer, divided into six units, covering: (1) The Messianic Experience, (2) Shabbat, the Appointed Times, Jewish Holidays, (3) Kosher and Torah-Based “Means of Grace,” (4) The Contours of Jewish Evangelism, (5) Our Place in the Congregation, and (6) A Survey of Messianic Theology. The Messianic Walk has been written in an as user-friendly and easy-to-read style as possible, as it introduces students to the Messianic congregational experience as it has developed by the third decade of the Twenty-First Century. 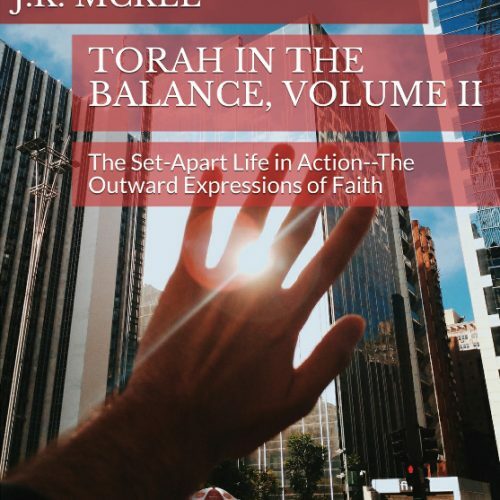 It is a resource intended to be used in the new members classes of today’s Messianic congregations, either on its own or in concert with other materials. AN EXCELLENT RESOURCE FOR YOUR CONGREGATION’S NEXT NEW FOUNDATIONS OR NEW MEMBERS CLASS! Why are you a part of today’s Messianic movement? Since the reemergence of the Messianic Jewish movement in the late 1960s to the present, we have witnessed a generation of Jewish people come to faith in Israel’s Messiah, retaining their Jewish heritage. Since the mid-to-late 1990s to the present, we have also witnessed a great number of evangelical Protestant Believers be sovereignly called by God into the Messianic movement, to join in and participate with their fellow Jewish Believers in the restoration of Israel. Many are of the sincere conviction that the end-time prophecies involving a massive salvation of Jewish people (Romans chs. 9-11) and the nations coming to Zion to be instructed in God’s Torah (Micah 4:1-3; Isaiah 2:2-4), are simultaneously occurring in this hour. Today’s Messianic congregations are often places where these two dynamics emerge, and people from diverse backgrounds fellowship with one another on a regular basis in a local assembly or fellowship of brothers and sisters. What are some of the things of what it means to be a Jewish Believer in Yeshua of Nazareth? What are some of the things of what it means to be a non-Jewish Believer in the Messianic movement? 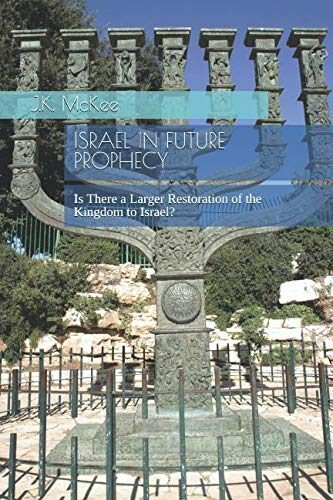 How do we pool the strengths and virtues of our Judeo-Protestant heritage, as we anticipate and work toward the salvation-historical trajectory of “all Israel will be saved” (Romans 11:26) and the return of Yeshua to Planet Earth?